The City of Glenwood Springs has set a precedent for urban revitalization with vast streetscape improvements and additions of a new parking garage and pending construction of a new $110M bridge connecting Interstate 70 to Grand Avenue. Grand Avenue forms the eastern edge of this site. 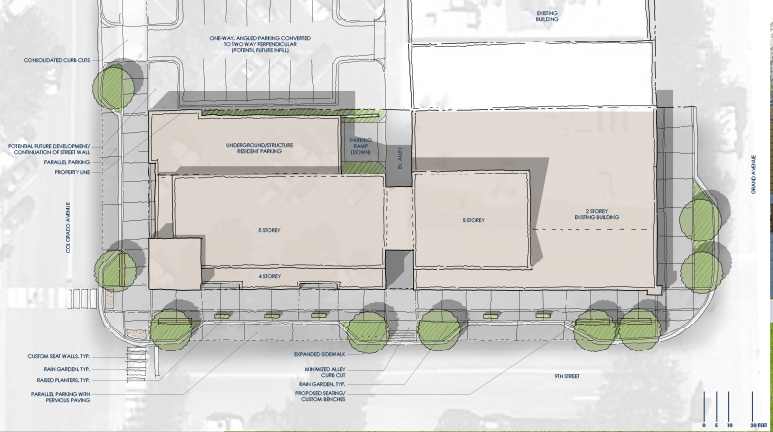 Terrain was hired to collaborate with a local architect and developer on a proposal to infill a key parcel of downtown Glenwood. Terrain provided massing studies which helped inform further architectural concepts. 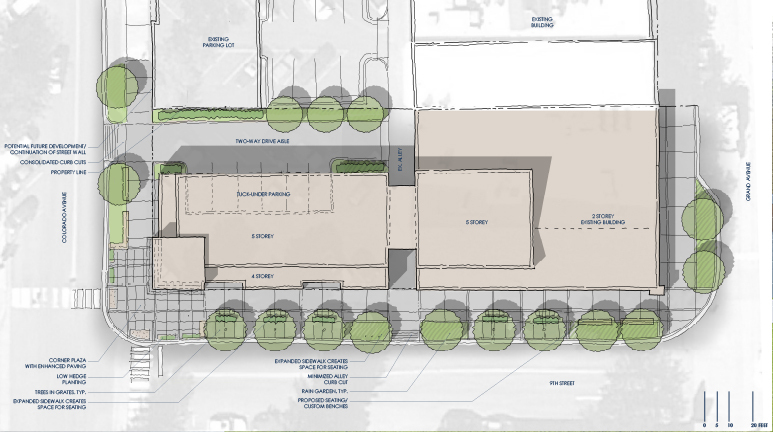 Building on the proposed massing, Terrain also developed streetscape scenarios designed to enhance the pedestrian environment and make the new development more safe, attractive, and visible from the street. Specifically, Terrain proposed ‘bulb-outs on all corners to shorten crossings. Also proposed was enhanced paving, rain gardens and seating spaces.